As a USA investor, it is important you understand how to work with all kinds of buyers and sellers. In our latest post, we will examine investment styles for different generations of investors in USA and ways you can work with them! As generations move through time, it’s no surprise that there are different approaches taken when it comes to investments and real estate. Life experience changes rapidly from one generation to the next, and these life experiences have profound effects on the ways people handle their money. When you understand the motives and motivations for investment decisions, you will better be able to work with all buyers and sellers no matter their age or generation. Below, we have broken out the different generations, with basic information on investment styles. Of course, this information is very generic. True investment style varies person to person. The Silent Generation consists of those born between 1928-1945. They are more likely to find what works for their money and keep it there. They don’t diversify much but know a good deal when they see it. They don’t like a lot of fluff and would rather be presented with the facts above all else. Baby Boomers were born between the mid-1940’s and the mid-1960’s. Many have hit retirement age, which means they are collecting social security and possibly a pension. They are open to diversification but tend to have a larger focus on stocks as compared to other generations. Real estate is an excellent choice for Baby Boomers who want to put their money into a tangible investment with strong returns. Baby Boomers will likely work with an advisor or financial planner. Gen X’ers were born between the mid to late 1960’s to the early 1980’s. Of course, these numbers change depending on who you ask. Members of the Gen X club are currently raising families and thinking about college funds. They get less press than the generations before and after them, however, they are the ones currently in the position to make big investment moves. They are taking over top positions within companies as Baby Boomers leave the workforce, and many will see inheritance money from family members. As a Gen X’er, it is smart to diversify in both the stock market and real estate investments. Born between the early 1980’s and the mid to late 1990’s. As investors, millennials are more likely to seek instant gratification as opposed to waiting for the long-term. They are more likely to use apps and online sources to make their investments. They love to learn, but take a less-personalized approach as compared to generations before them. Millennials love to add real estate to their portfolios and are changing the way properties are purchased and used. Many millennials have been hit hard by student and other debts, so when they have some cash on hand they tend to hold it close. As witness to the recession of the early 2000’s, millennials might be a bit more cautious when it comes to their investment habits. All investments come with risk. No matter what generation you are in, or who you are working with, it is always best to consult a financial planner or advisor for your big investment decisions. 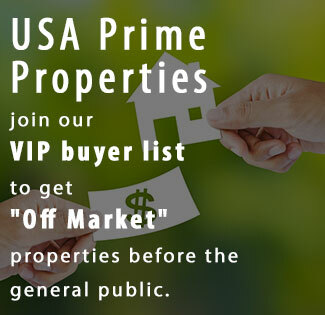 At USA Prime Properties, we would love to help you buy or sell real estate in USA! As investors ourselves, we are here to help however we can!